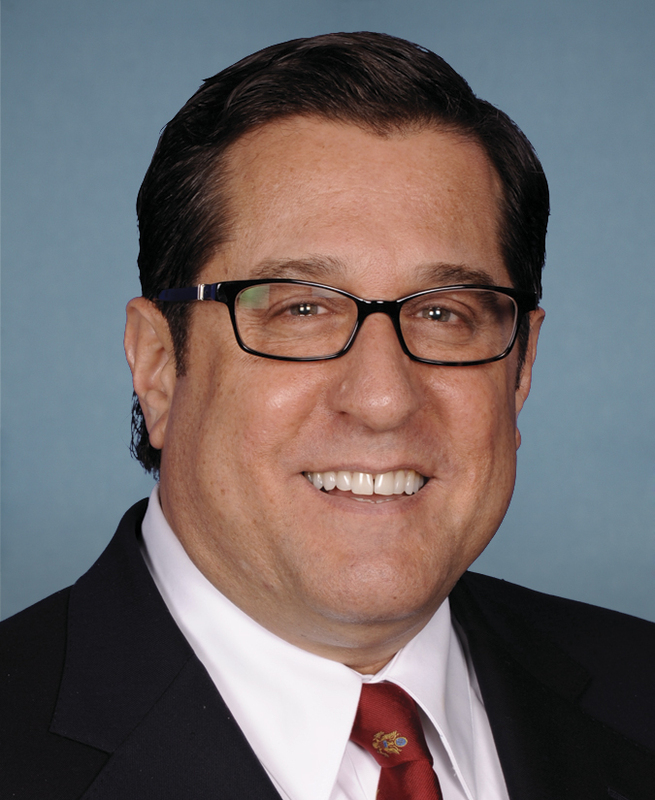 Info Congressman Steven R. Rothman is a moderate Democrat from Fair Lawn representing the southern portion of Bergen County, parts of northern Hudson County, and the Borough of Hawthorne in Passaic County in New Jersey?s Ninth Congressional District. Now serving in his fourth term, Rothman is a member of the powerful House Appropriations Committee, which allocates all of the funds in the federal budget. He sits on the Transportation and Treasury as well as the Foreign Operations Subcommittees of the Appropriations Committee. Rothman also serves in the House leadership as Assistant Democratic Whip. First elected to the U.S. House of Representatives on November 5, 1996, Rothman has championed environmental causes and has led the effort to protect and preserve the entire 8,400 undeveloped acres of the Hackensack Meadowlands with the ultimate goal of turning them into an environmental park. The Record newspaper said Rothman?s Meadowlands long-term plan, ?is a far-sighted vision, and it merits support from everyone who wants to play a role in the future of this marshy swath of New Jersey.? Rothman has worked tirelessly on many other fronts to improve the quality of life for all the residents of the Ninth District. He has been the leader in the fight against aircraft noise and pollution at Teterboro Airport, most recently securing a ban on the noisiest planes at the airport as well as a ban on the Boeing Business Jet - a giant corporate 737 jet. Rothman is now fighting to ban the next set of noisy aircraft - which would eliminate the rest of the 15 percent of planes which cause 90 percent of all noise violations at Teterboro. Rothman?s leadership against aircraft noise has been well-noticed with the Leader newspaper writing, ?Lots of political muscle is behind the cause, but Congressman Steve Rothman is proving to be the MVP.? As a member of the House Appropriations Committee, Rothman is constantly working to secure the federal support and dollars that the municipalities and people of the Ninth District deserve. Rothman has brought home millions of dollars for improvements to local and overcrowded roads, including funds to help relieve nightmarish traffic on Route 17, bring light rail to Bergen County, and expand public transportation into and out of Manhattan and around New Jersey. He has also successfully secured millions of dollars to clean up the pollution of the Passaic River, fix local sewers, fund the renovation and improvement of area hospitals, and pay for after-school programs. Throughout his four terms in Congress, Rothman has been a strong voice for working families and individuals. He has fought for funds to improve the quality of education children receive both by modernizing schools and classrooms and hiring skilled teachers. He has consistently supported policies that provide better working conditions and benefits to the men and women of labor who keep the economic engine of the country moving forward, and has consistently supported tax cuts that help families, individuals, and small businesses who need them most. In addition to his work on the Meadowlands, he has been a strong advocate of environmental measures that promote clean air and water locally and across the country. As a lifelong resident of Bergen County and the father of two school-aged children, Rothman has aggressively sought ways to keep our schools and communities safe and drug-free. As a former member of the House Judiciary Committee, he authored and got passed the ?Secure Our Schools Act,? which allows local school districts to apply for grants from the federal government to pay for metal detectors, security cameras, training of personnel, better lighting and locks, and any other measures that bolster their security measures and procedures. As a member of the House Appropriations Committee, he secured $10 million for the program over the past two years. Rothman has also brought home $3.75 million in grants from the COPS In Schools program for 12 municipalities in his District. Rothman has also maintained a strong commitment to the nation?s seniors and has worked to ensure they receive the rights and benefits that they deserve. From the moment he was first elected, Rothman has worked with moderates in both parties to protect and strengthen Social Security, and has vehemently fought against any plans to privatize Social Security which would jeopardize benefits for seniors. He has also been a strong advocate for a voluntary prescription drug benefit for all seniors under Medicare and is committed to reforming the nation?s health care system and returning the power of decision making to doctors and their patients from insurance company accountants. Rothman brought to Congress a distinguished reputation as an effective, fiscally responsible leader with universally recognized personal integrity from his tenure as the two-term Mayor of Englewood (1983-1989) and as the Bergen County Surrogate Court Judge (1993-1996). Born on October 14, 1952, Rothman graduated from Tenafly High School in 1970, Syracuse University in 1974 with a bachelor?s degree in Political Philosophy, and the Washington University in St. Louis School of Law in 1977. From 1978-1993, he practiced as a private attorney and won awards for providing free legal service to the poor, disabled, and elderly.